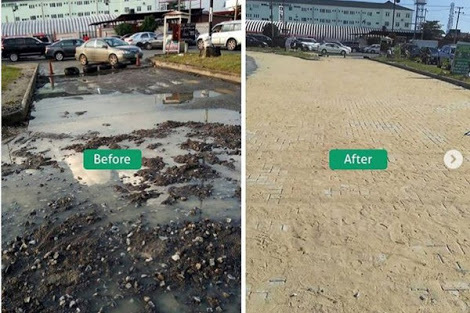 Forte Oil Plc, owned by Femi Otedola, recently completed the rehabilitation of some roads in Lekki Phase 1. The roads are adjoining roads that leads to their Lekki Phase 1 service station. Good social responsibility.